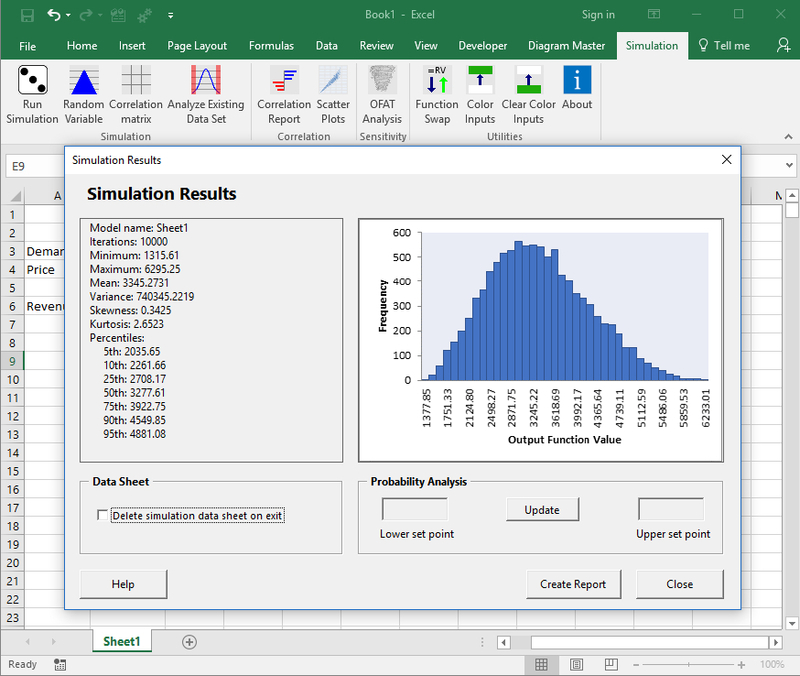 When conducting a Monte Carlo simulation, correlation among input variables is an important factor to consider. If input random variables are treated as independent, when they are actually correlated, risk can be under or over estimated. Let's think about how this occurs, when two input variables have positive correlation, the value for each should be relatively high in a given simulation iteration and both relatively low in another iteration. For negatively correlated inputs, one should be at the high end of possible values while the other should be at the low end for a given iteration. We will consider a simple example to illustrate how correlation affects simulation output. We will construct and simulate a very simple model of revenue that has demand and price as inputs. Demand and price are negatively correlated. When price increases, demand decreases and vice versa. 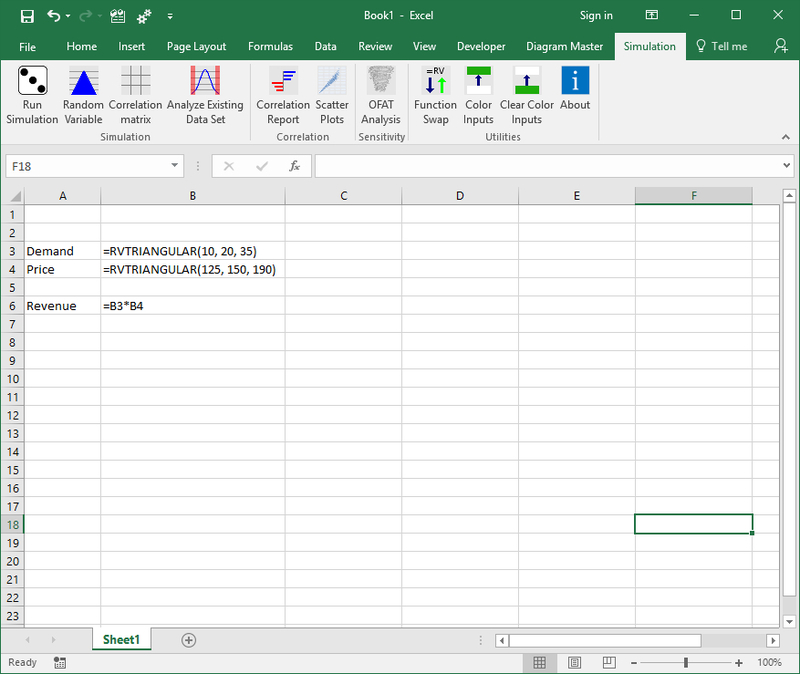 The model is below with formulas shown. Of course, knowing if correlation is present may be a difficult question to answer, but for our example we will assume we know the correlation. We will run two simulations to compare independent inputs versus correlated inputs. For demand, we will assume a triangular distribution with 10 as worst case, 20 as most likely, and 35 as best case. For price we will assume a triangular distribution with 125 as worst case, 150 as most likely, and 190 as best case. In the first simulation we will assume that demand and price are independent. In the second simulation we will assume a rank correlation coefficient of -.5 between demand and price. After running the simulations we see that independent inputs resulted in a wider spread of outcomes. As expected, the variance of the independent inputs is greater as well. In this example, if we assume independent inputs we would be over estimating risk. The simulations were run using Simulation Master. For more information, visit the Simulation Master product page. 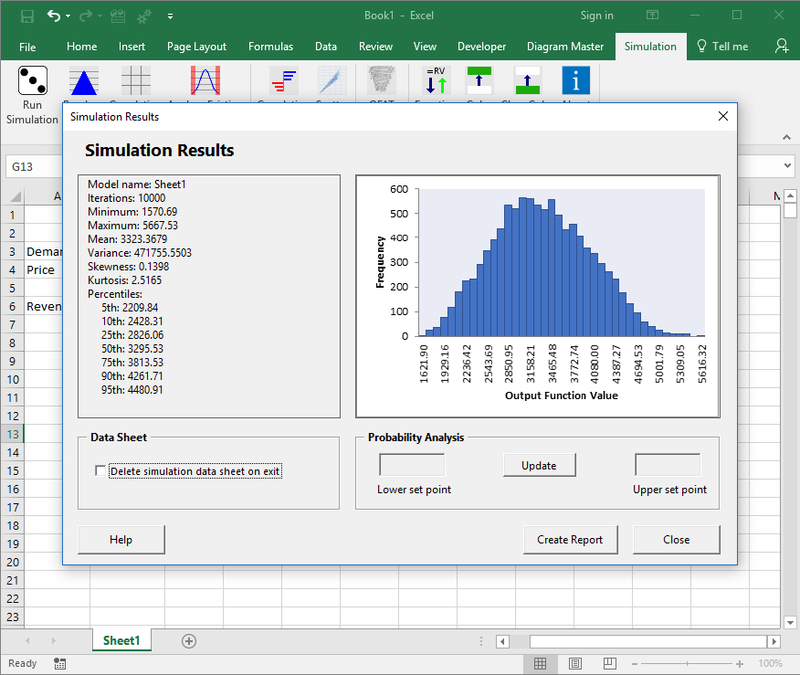 To learn about input correlation methods in Simulation Master, check out this article.